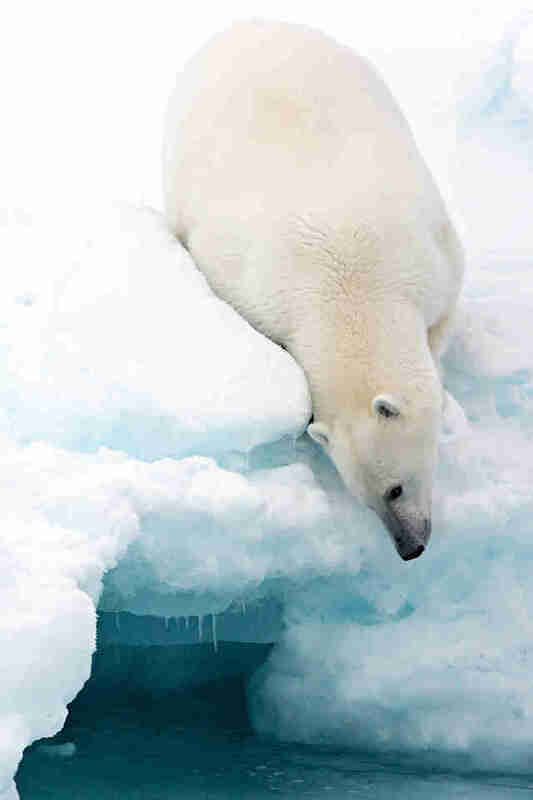 Melting sea ice as a result of global warming is considered the biggest threat to polar bears, pushed ever northward as their frozen habitat disappears beneath their paws. Last September, photographer Marco Gaiotti ventured to the frigid Svalbard archipelago, in the Arctic Ocean, to capture extraordinary images of these iconic animals adrift on the front line of climate change. "With this story, I want to bear witness of how climate change is affecting [the] polar bear population," writes Gaiotti. "Polar bears do need sea ice to survive; they are adapted to feed on several species of seals living on icepack: once the ice melts, bears are no longer able to access their primary source of food." Gaiotti's concerns for these animals are well-founded. 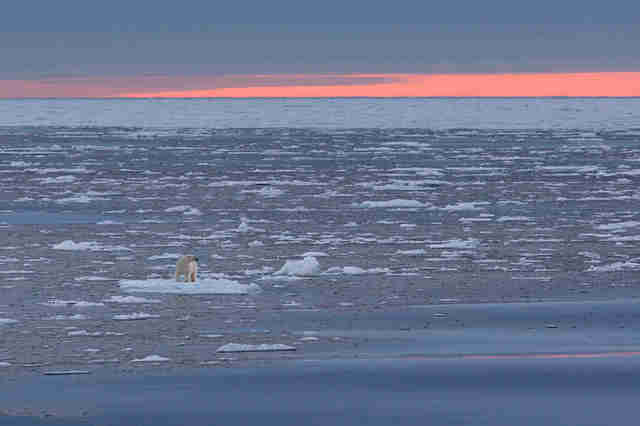 Throughout the Arctic, polar bear populations are feeling the pinch from their diminishing sea ice hunting grounds, forcing them to migrate north to keep up with the cold. 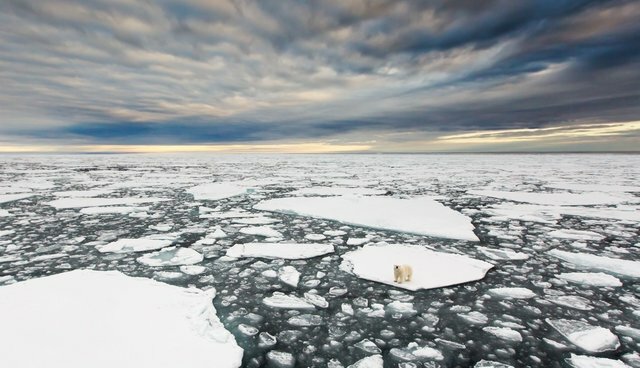 According to one recent study, if global warming continues unchecked, a significant percentage of the world's polar bears could perish by 2075. .facebook.com/media/set/?set=a.439232312864674.1073741828.267446143376626&type=1">Click here to see more photos of Gaiotti's visit to Svalbard.